On Station road Looe looking out over the rivers at Looe. 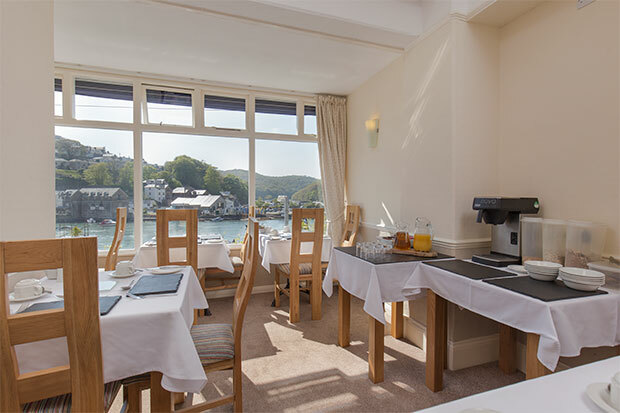 The Deganwy dining room with superb views over the east and west Looe rivers. 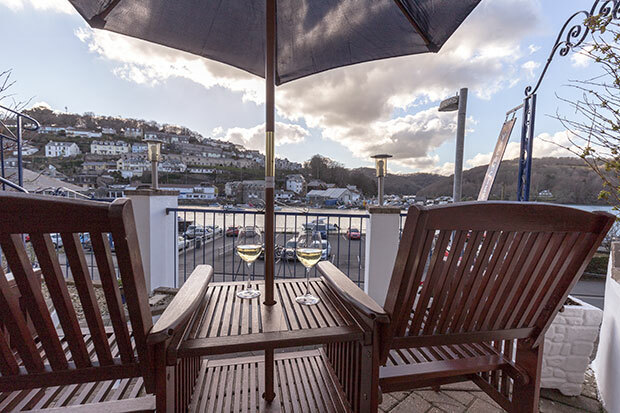 The patio at the Deganwy looks out over the rivers at Looe. 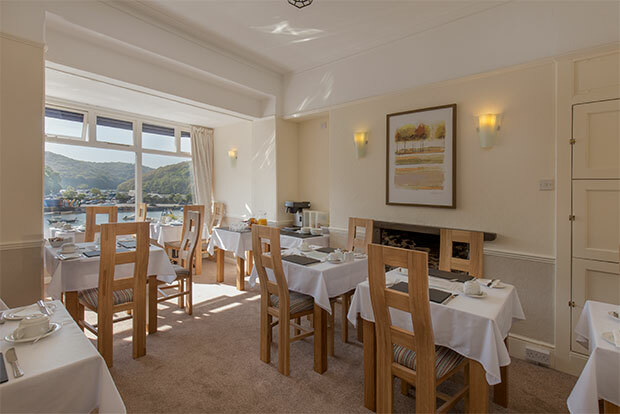 What you will find at The Deganwy…..
A hospitality tray for hot drinks (with kettle), flat screen TV, hair-dryer, clock radio and toiletries in every room. Quality furnishings, linens and fresh top quality towels. 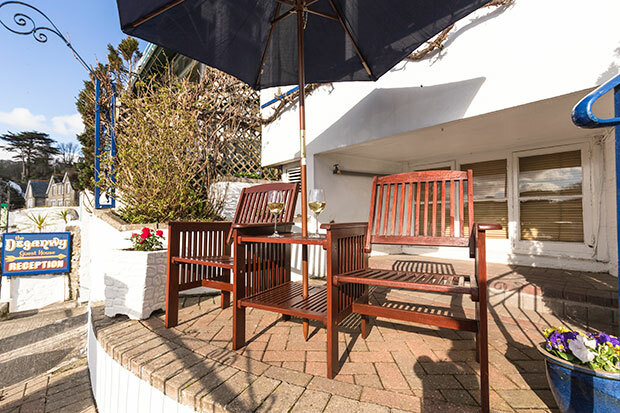 A large welcoming lounge with well-stocked licensed residents bar and light airy breakfast room. 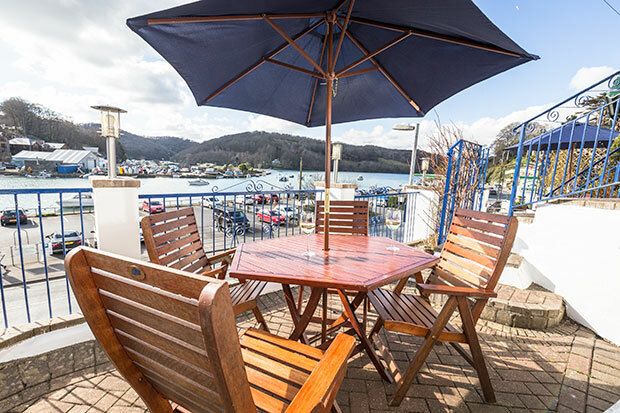 Comfortable seating areas on the front terrace offering astounding views of the Looe estuary. Sorry we do not take bookings of more than six in a groupe. Warm and welcoming hosts who will do their best to provide anything you require and make your stay an enjoyable experience. 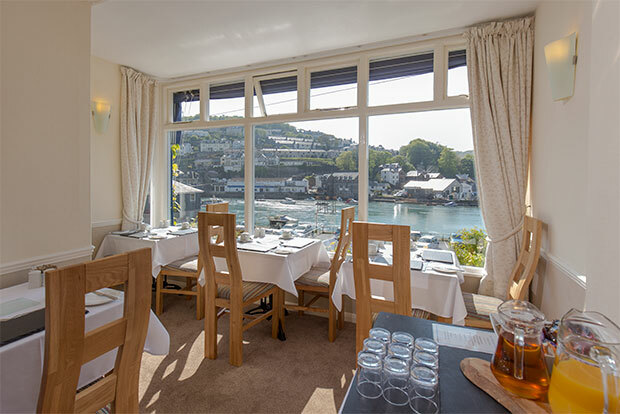 This is the ideal place to relax with a cup of tea, coffee or wine and admire the view.